Have you ever thought that someday you would be able to experience the surround system on your Android device? Well, none of us might have thought it would be possible. If you are searching to get Dolby Audio for Android, I must say your “Lucky” as you are about to get it. Most of the cinema theatres nowadays use Dolby Atmos Sound Technology to provide the best experience to viewers. Dolby Atmos technology enhances the sound quality to give a pleasant sounding experience to users. Earlier, Dolby Atmos used to come installed in specific laptop models only, but now you can Install Dolby Atmos on Android with and without root as well. You may wonder what exactly Dolby Atmos is and how is it superior to the standard sound technology. Well, I’ve got all the answers for you to share in this article. Stick to the article till it’s end to know everything about this sound technology and How to Install Dolby Atmos on Android without root, with root (both). 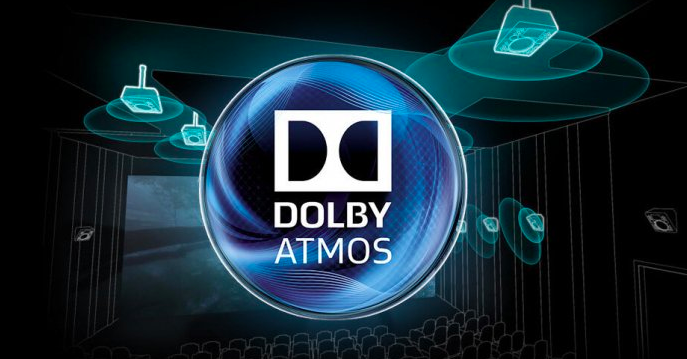 What’s the Speciality of Dolby Atmos? 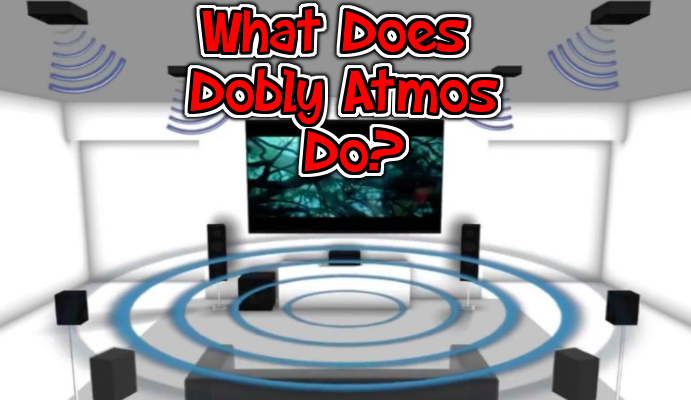 In simple words, Dolby Atmos is a speaker based sound system which is generally found using in Cinemas, Theatres, etc. Dolby Atmos is commonly known for providing a complete surround sound system experience. The technology is often used to create some sort of illusion in the 3D space to make the experience more intense and realistic. For example, when a filmmaker or the video you watching wants to create an illusion of someone shooting behind you, the sound is pushed into 3D Place rather than to a particular speaker. This way you’ll feel that the person is actually standing behind you, which brings a realistic environment to your ears. You’ll need a 5.1 or 7.1 speaker system to experience the actual quality of Dolby Atmos Digital Sound Technology. However, you can experience it on your Android as well using the method which we’ve provided below. Dolby Atmos is Possible on Android? Yes, it’s possible to get Dolby for android for free of cost. Most of the android devices nowadays are capable enough to run the Dolby Atmos technology. The Good thing is that you don’t need to be a nerd to install Dolby Atmos on Android. Now there are some requirements that you need to take care of to get Dolby Audio for Android devices. Here’s the list of conditions, take a look. An Android device with the Android version of 4.4 or higher is required to install the Dolby Atmos. However, you can still try these methods in case if your device is running on Jellybean. 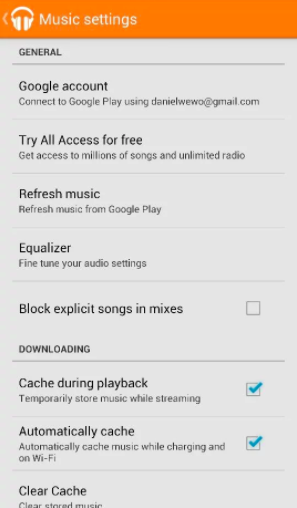 Google Play Music app needs to be installed on your Android device in order to experience the Dolby Atmos. You can download it from Google Play Store for free. Now anyone can install the Dolby Atmos sound technology on any Android device with ease. Please keep this in mind that we’ve only tested on few devices and it’s working quite fine. Some devices may not support it, that’s why we’ve added alternative method as well if you would like to give a second chance. We’re going to share 2 easy and working methods that you can try without any hesitation. The first method is for the users who have rooted devices. The second method is for those who don’t have rooted the device and do not wish to root their device. Both the methods are risk-free, so don’t hesitate to try it. It’s a good thing if you’ve rooted your device, it makes the process very easy and less time-consuming. We’ve attached the Dolby Atmos.zip file that you need to flash on your mobile to get the Dolby Atmos sound. I assume you have enough knowledge regarding flashing, Bootloader and stuff like as you have rooted your device. Just download the file and flash it on your device through the Recovery Mode to get the Dolby Atmos installed. In case, if you don’t know, then here’s a quick step by step guide for the same. After moving the Dolby Atmos Zip from internal storage, Switch off your device by holding the Power button. Now Press and Hold Volume Up + Power Button at the same time to go into the Recovery Mode of your device. The bootloader will show up, select “Recovery Mode.” Now you have to Navigate to the “Dolby Atmos Zip File” and install it. You will get a warning message before installing the file, just ignore and proceed with the installation. Within a few minutes, the installation will be over, and you can Turn your device ON. That’s it; now you will have real Dolby Atmos Sound experience on your Android device. 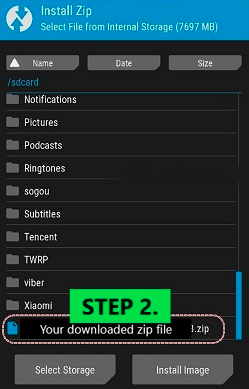 Take note, that you need to install the file using TWRP recovery mode to be successful in this method. This method is quite simple and includes only a few steps to perform. Firstly, you need to download the Dolby Atmos Apk file from this link and install it on your Android device. But first, go to Settings >> Developer Options >> Allow Installations from Unkown Sources >> Turn it ON. 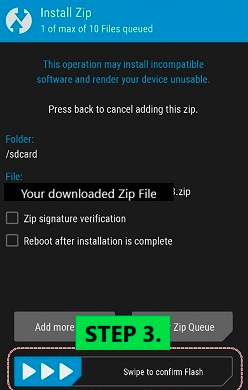 Now go to your Downloads and Tap on the apk file to install it directly on your device. After installing the app, it’s recommended to Reboot the device before proceeding further. 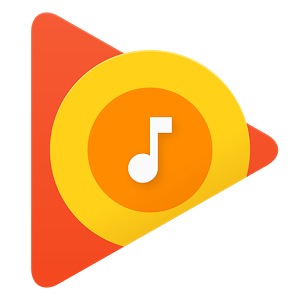 Install the Google Play Music app if you haven’t already. Open it Up and sign in to your Google Account to access the app. Now move to the Settings of the Google Play Music app, there you will find the “Dolby Atmos” option, just enable it and close the app. That’s all, now open the app and play or stream your desired song to experience all the new surround sound technology on your Android device. This method is for Lite users only who don’t want to mess up with Bootloader stuff. 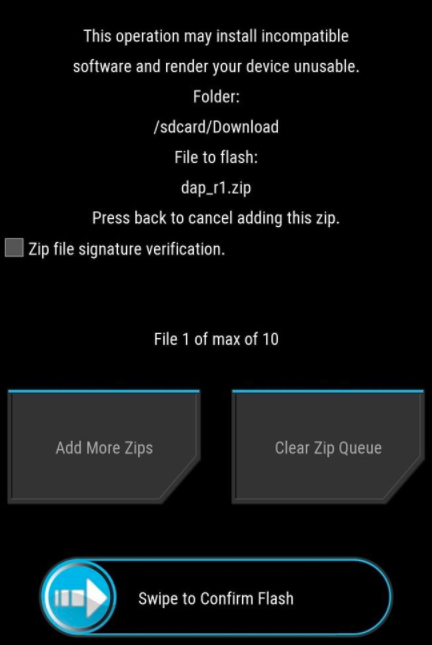 You can try any method to install Dolby Atmos on Android, both of them are verified and doesn’t include any risk. You don’t need to go to theatres, buy expensive home theatre kits to experience the Dolby Digital Surround Sound as you can enjoy it on your Android device. 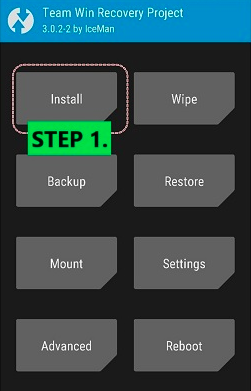 Share this wonderful guide on “How to Install Dolby Atmos on Android Without Root and With Root” with your friends, thank you.